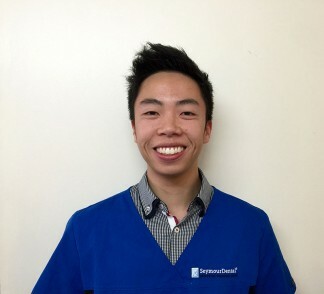 It’s Sherwin here, one of the new dental students that work at Seymour dental on Saturday mornings! So on other days, I am usually found at the University of Sydney’s main Camperdown campus or Sydney Dental Hospital learning everything about dentistry. I am currently in my first year of the course, having just completed my first semester. So far, every day of it has been fun and gets more and more exciting. Most mornings begin with scheduled lectures that are either in person, or online, with content that connects the medical sciences of the mouth to the rest of the human body. 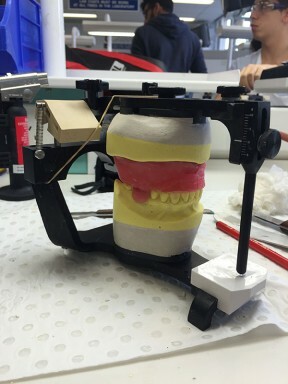 Practical classes follow, usually in the afternoon, and vary from head and neck dissection class where we consolidate theoretical knowledge about all the nerves, muscles, blood vessels and structures in the head and neck. 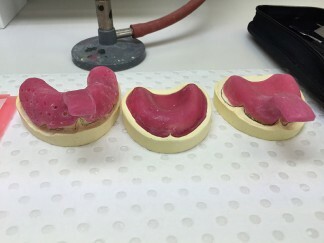 On other days, Sydney Dental hospital is where we practice more dentally specific skills such as patient positioning (which is a basic by very important skill), or learning the steps in producing a denture or restoring a tooth. After a long day at uni, all the knowledge that is gained during the day needs to be consolidated so we are able to utilise and apply all of this to real patients in the near future. This brings us to the end of the day where we fall asleep and prepare ourselves for another day of exciting learning!